This may sound like a tribute or an obit but nothing could be further from the truth. We have been blessed with the presence on many occasions with a visit from one of our more august and historical members, Major Lou Seiberling. 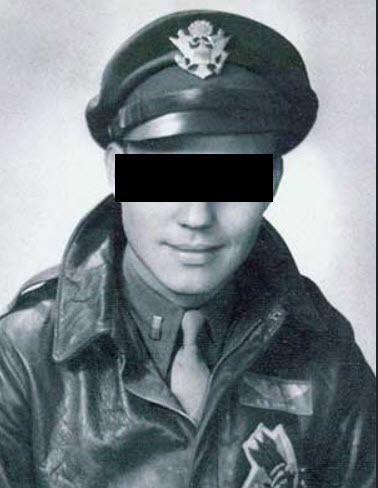 Most recently, Lou attended our Comm Room commemoration celebration this past July and, Lord willing, he will continue to visit us and regale us with tales of his World War II adventures as a B-24 Liberator waist gunner. NOTES: SaberCat1 filming in HD the B17 and the B25 WWII Bombers over and around Arizona's Superstition Mountains and Saguaro Lake. H5 Productions, in conjunction with The Commemorative Air Force filmed these aircraft during the Veterans Day Celebration on Saturday, November 13th, 2010. 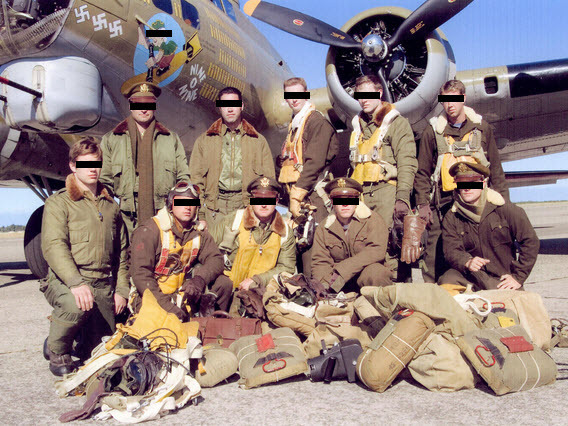 The B17 Bomber was flown by pilot Russ Gilmore and the B25 Bomber was flown by pilot Spike McLane. 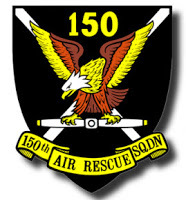 The base for these bombers is Falcon Field located in Mesa, Arizona. SaberCat1 pilot, Mitch Kelldorf. SaberCat1 aerial cinematographer, Mike Murray. Editor, Mike Murray. Our unit training officer, 1LT Vade Nitram, has often righteously hectored us on the need to come prepared to our meetings. Just as in our college days, lack of preparation means a failure to learn. In this case, it inclines towards a propensity to waste our time and our trainers'. 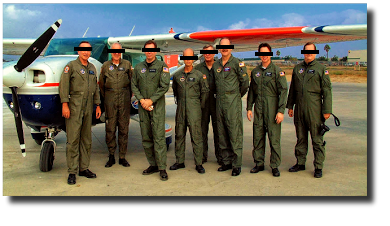 This post will provide one of the more important basics in preparation for our next meeting -- the "annual" UDF live training exercise. You are both encouraged to attend and as well as participate. ..it is as blindingly simple as that! Be advised that during the exercise, we will be asking you to report MAGNETIC bearings. This means that you will NOT have to factor in the magnetic declination -- just point the Direction of Travel Arrow in the same direction as the DF antenna and read the numbers off. My source has dried up as the vendor has since disappeared but I have found these in abundance on the internet at Amazon and on eBay. Recognize that the eBay link is for one specific auction and it might die over the months. 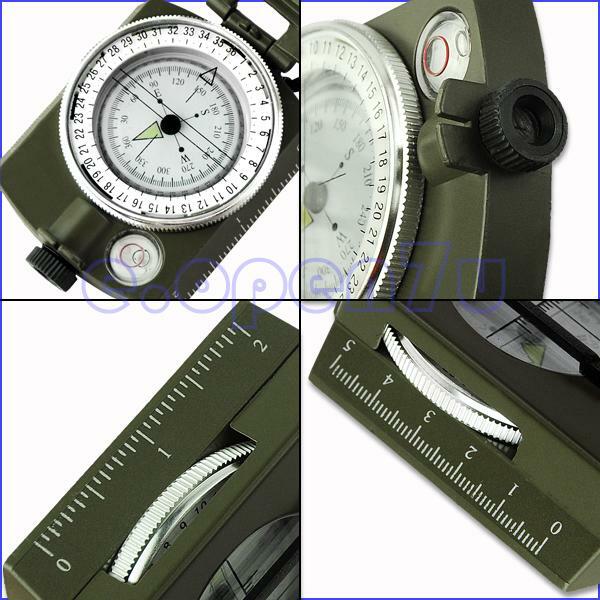 If you search for "Military Prismatic Compass" you should find a plethora of newer auctions for the same product. The good news is that the price is well below the $20 that vendor was charging me. Amazon charges shipping and the eBay auctions do not. You do the math. Of course, I make NO recommendations for either the Amazon product or the eBay product. I am just calling your attention to a possible source. In fact, if you read the One-Star Amazon reviews, you will see that a lot of people are chuffed over the fact that a $10 Chinese knockoff wasn't a precision $150 German product. 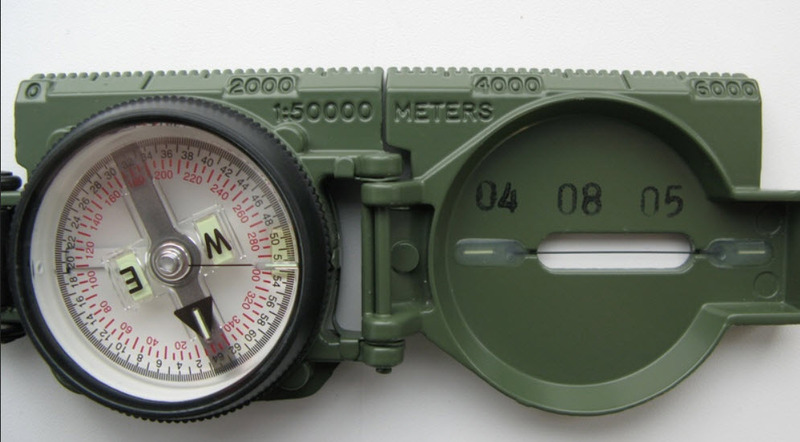 One final disclaimer, this compass is neither a "prismatic compass" (it does not have a prism) nor was it used by the military (But it does sometimes come painted in a neat digital camo pattern.) 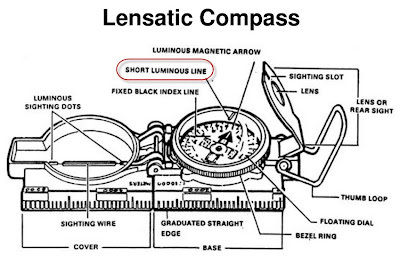 Of course, there are other types of like a Cammenga lensatic compass that can be had and are of "certifiable pedigree" in that they are issued and use by our military. 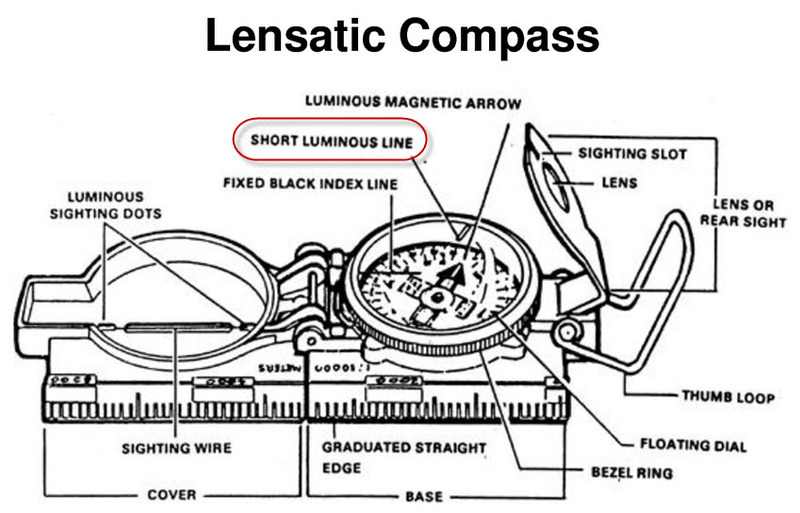 Note that they don't fuss around with the "Short Luminous Line" on the rotatable bezel, they just tell you to aim and read. So, in a way, the Cammenga is an authentic piece of hardware and is almost as easy as the Chinese knock-off above. 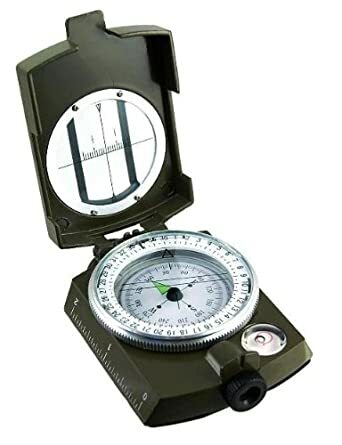 Irrespective of what compass you get, make it a regular habit to practice with it so you know how to use it. 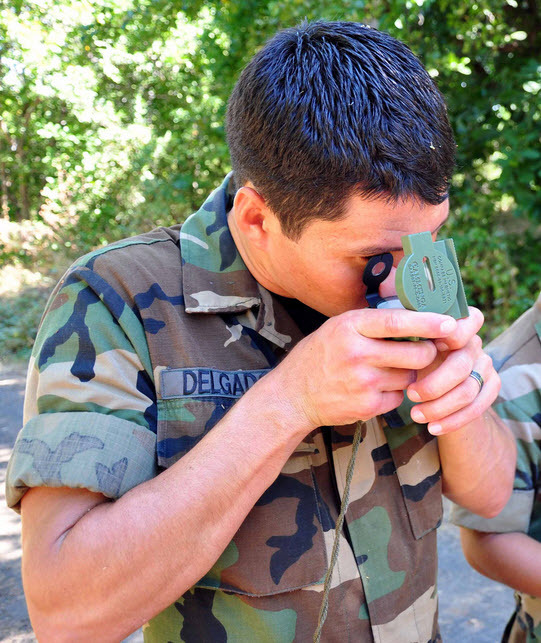 For example, take it on walks with you and site bearings (or azimuths)of distant objects you might see. Adds to the walk and raises your post-apocalyptic survivability as well. Over to you..and see you on Thursday.